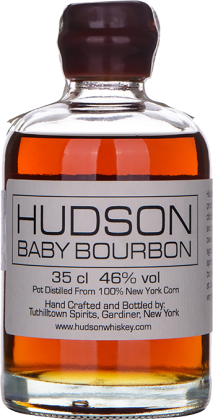 We’re very proud to have produced this bourbon, which is the first New York aged whiskey since Prohibition – and New York’s first bourbon ever. The foundation is 100% Empire State corn, sourced within ten miles of Tuthilltown Distillers. We like to keep it local and keep it green. 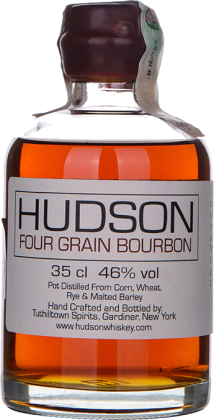 Hudson Four Grain Bourbon is the first pot-distilled whiskey to be produced in New York’s Hudson Valley since Prohibition. It’s all about good grains. The soft, balanced richness of corn. The sharp, peppery notes of rye. The smooth subtlety of wheat. And the sweetness of malted barley. All working in perfect harmony for a rich, full-flavored spirit. 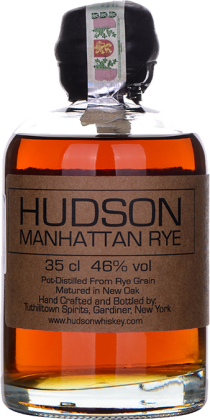 Prohibition put an end to small-batch distilling in New York, but Tuthilltown Distillers have resurrected an Empire State classic with our Rye Whiskey. We’re a very hands-on operation. That’s why we handpick our rye and source 90% of our raw materials within ten miles of the distillery. We support local farmers and use organic resources – keeping it green and keeping it real.